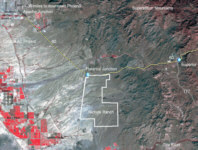 The Ranch is located in the rural area of Florence Junction, northern Pinal County, approximately 17 miles southeast of Apache Junction, Arizona. 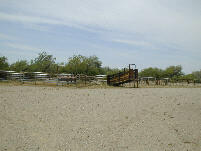 The ranch has 7 dirt stock tanks, two sets of corrals and two traps. The State Grazing lease is rated at a carrying capacity of 108.3± head annually. There is some additional grazing on ephemeral feed when weather and water permits. But these numbers vary from year to year in the length of the ephemeral grazing period and the numbers of cattle stocked. The main body of the Ranch has elevations varying from 1,770 to 1,880 feet on the west boundary of the ranch along AZ 79, to 2,000 feet on east side of the ranch. The Ranch is located in the desert-intermountain region of the state, and the land forms are generalized as ranging from gently sloping to rolling to very rugged. 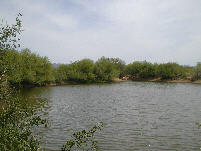 The native range forages consists primarily of black, blue and side oats grama grasses, big galleta, sacaton, tobosa, needle grass, squirreltail, Arizona cotton-top, cane beardgrass, three awn, panic grass, sprangle top and spike dropseed; forbs consist of alfilaria, and Indian Wheat; shrubs consist of guajilla, palo verde, bush muhly, range ratany and mesquite. 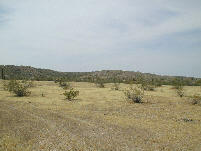 Non-forage plants consist of ocotillo, saguaro, cholla, ironwood and creosote. 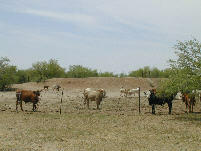 The main body of the ranch is fenced into two traps and one large pasture. Livestock waters are reported to adequately serve the livestock, except in drought years, or when there are large numbers of steers. There are no building improvements on the Ranch parcels, but there are livestock waters, shipping and holding pens, and fencing for the grazing uses.